SOLD. 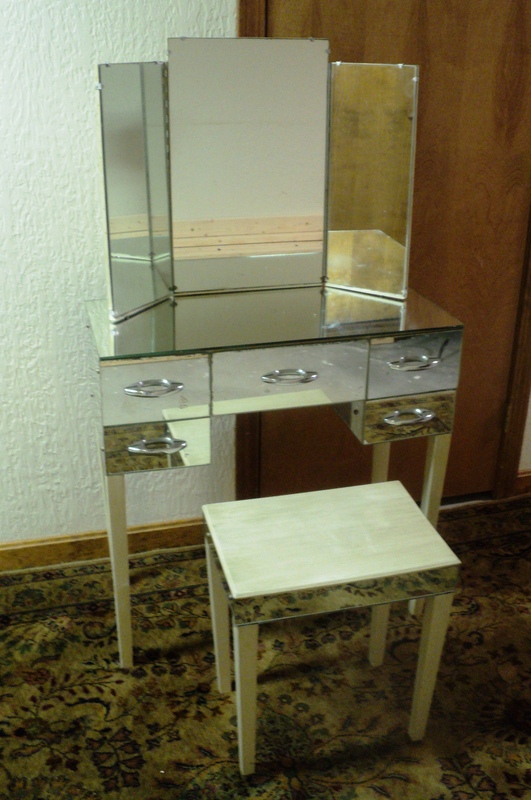 Stunning Hollywood Regency Mirrored Vanity/Dressing Table with Matching Bench. 1940s/50s. Petite in Stature. Tri-fold Mirror and Five Drawers. 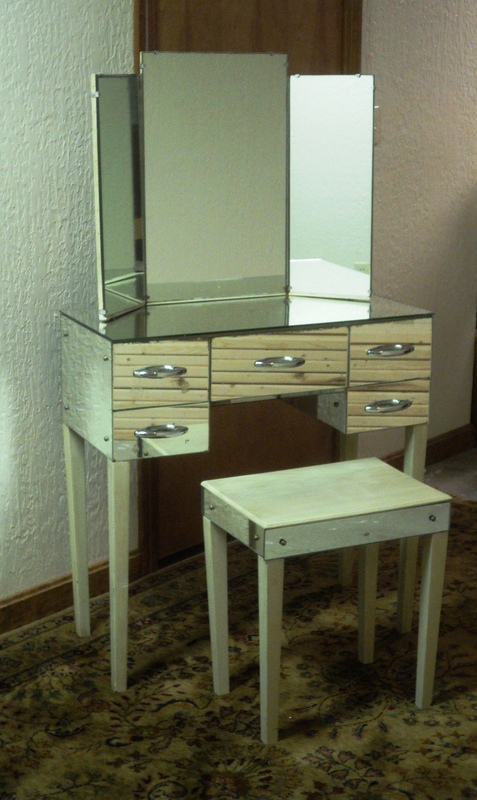 Mirror Clad Wooden Vanity Desk & Bench. 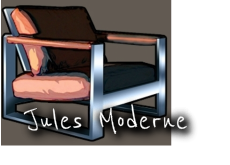 White Distressed Wooden Legs & Bench Seat. Chromed Steel Hardware and Anchors/Details. Overall Dimensions of Vanity with Mirror: 30w x 53h x 15d. Vanity Table Top Height: 30.75 Bench Dimensions: 16.75w x 18.5h x 12.25d.